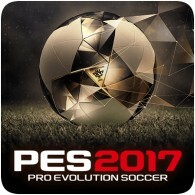 Posts tagged "Pro Evo Soccer"
Konami has announced the annual iteration of Pro Evolution Soccer (PES). PES 2019 will be releasing on 30th August 2018 on the PS4, Xbox One and PC. The cover will feature Philippe Coutinho (Barcelona), but a David Beckham special edition will be available too. Check out the announcement trailer below. 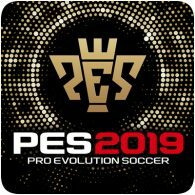 Konami have announced the latest annual instalment of Pro Evolution Soccer, which will be coming to range of platforms including PS4 and PS3. PES 2017 will also come with a host of improvements, which have been detailed on the official website, including Adaptive AI and improved visuals. 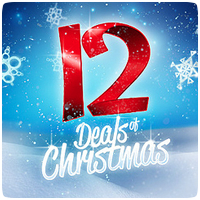 The 12 Deals of Christmas promotion is almost at it’s half-way point, with deal five now available on the European PlayStation Store. For the next 48 hours, you can get 50% off Pro Evolution Soccer 2016, including the Anniversary Edition. Konami has announced that Pro Evolution Soccer 2014 will be available at retail in the Europe and North America in September, with a demo available to download before the full game is released. In Europe, the game will be available to purchase on September 20th, and will release in North America on September 24th. Konami have confirmed an official release date for Pro Evolution Soccer 2013. The game will be coming out this month, just one week ahead of rival title FIFA 13. 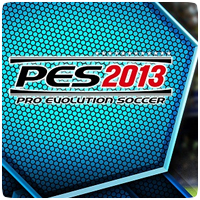 Launch dates for the Wii, 3DS, PSP and PS2 versions of PES 2013 will be announced “shortly”, according to Konami. Pro Evo fans will be able to get their first taste of PES 2013 next week. Komani will be releasing a playable demo of the game on July 25th 2012. The demo will have eight fully licensed teams, with all difficulty levels and localised language. Check out the E3 2012 trailer for the upcoming Pro Evolution Soccer 2013 game that we reported on earlier in the week. The game has many improvements and additions over the previous game. In addition to all-new AI, the game also includes new features requested from fan, including better control and full manual shooting. Pro Evolution Soccer returns to the PS3 later this year with many improvements and additions over the previous game. In addition to all-new AI, PES 13 has implemented many new features in direct response to fan feedback, including better control and full manual shooting. The first free downloadable content for Pro Evolution Soccer 2011 is now available for download. Konami has released an DLC pack to update the club team rosters and uniforms to reflect the current season. Best of all, the pack is free to download. 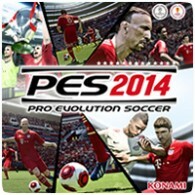 Konami has announced the 2011 edition of Pro Evolution Soccer. Set for release later this year, the game promises to “reinvigorate the series with the most advanced set of improved gameplay additions, control options and catch up with the evolution of the real-life soccer.” See below for details on all the new features, but the biggest change is the ability to play the Master League online.